Another year. Our 30th actually. We were a startup once. And in a sense we still are. Because almost every challenge that lands on our laps feels like a fresh start. Old constraints ready to be busted with new ideas. Honestly, ever since paper boat happened in 2013, startups and established brands alike reach out and ask us to work up the same magic for their brands. But being a notoriously stubborn team that we are, we start with a strong refusal. We refuse to repeat. We are against “same same”. But we promise to match your passion & appetite for “new” if you have it. We believe brilliance of our work is directly proportionate to the faith you place in us. It always works that way. In 2018, we saw brands being far more inclined towards health & sustainability. What’s in it became a bigger concern for the consumer and food thus became more engaging even before it got consumed. Some of them are taking their first steps as you read this and some have spread their wings rather wide. So here is a list of five fresh brands we helped build in 2018. 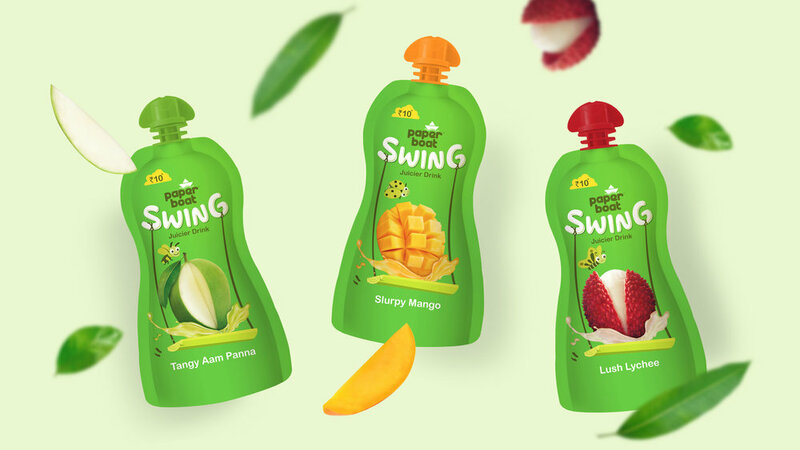 A fresh, fun & approachable fruit juice for the joy of its pure & unadulterated taste is how we would describe swing from paper boat! Packaged in signature doy packs, swing promises to bring alive the wind in your hair & spring in your step with its juicy fruity beat. As they say, there is only one life! Our big insight? We need to maximize and shine through every role we play. Be it work or relationships, travel or entertainment, we need to be able to give our best. Because life is a sport and we can all be winners. 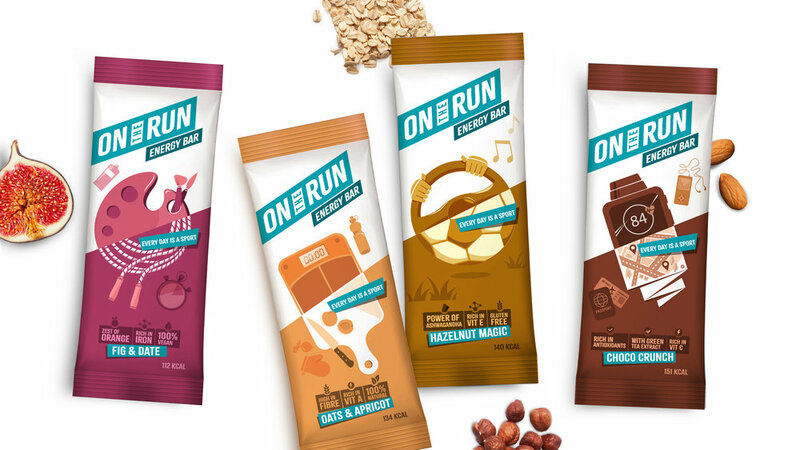 On The Run packaging is a reflection of multiplicity of our lives and how to stay positive through it all by consuming food made with conventional wisdom & goodness. 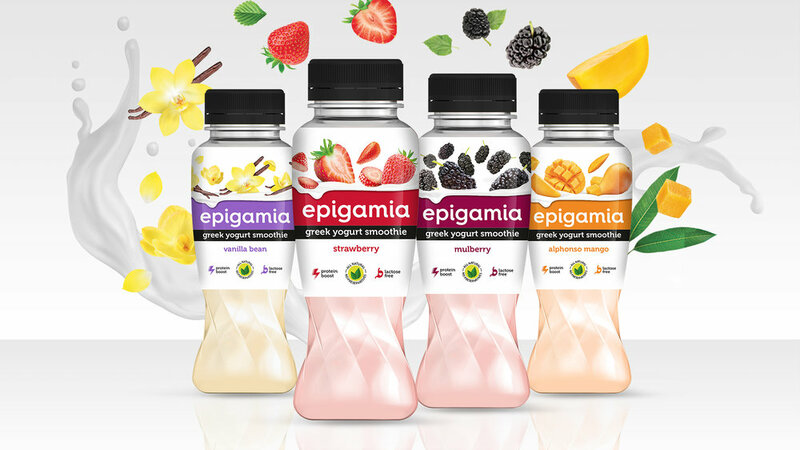 After the stupendous success of epigamia greek yogurts, it was time for smoothies on popular demand. What makes these greek yogurt smoothies remarkable? They are all natural, lactose free & above it all, very very tasty! The bottles are designed to practically twirl & emulate churning of smoothies. Globular shoulder & wider mouth makes it easy to grip & gulp from, whereas loaded fruit visual does justice to what’s inside the bottle. So if you are looking for a tasty protein boost, you know what to reach out for. 51% of Indian women are anemic and 70% risk getting osteoporosis due to various deficiencies! This happens because women always put others’ needs before their own & land up neglecting their health. Sad but true. &me as the name suggests, is a trigger to remind women that with everything else that is important in life, they need to give themselves equal priority. 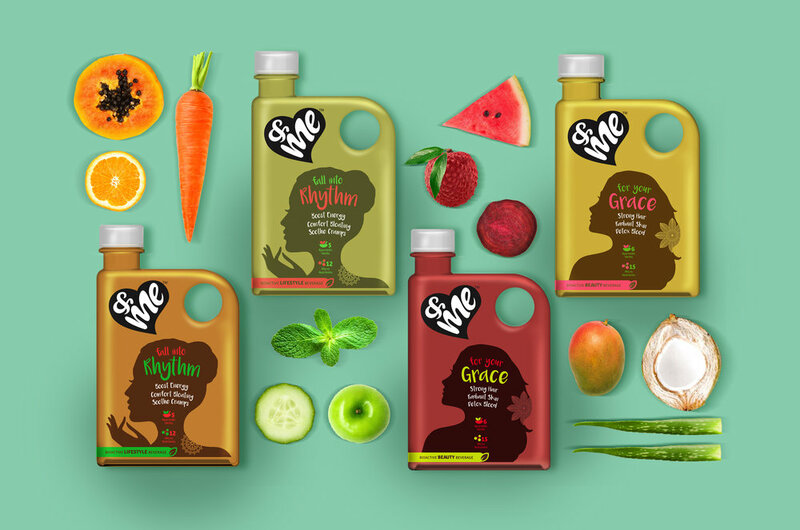 &me is a brand of Bio-active Beverages for Women. Developed with ancient Ayurveda and modern science to meet the fast-paced lifestyle of modern women, these beverages focus on specific needs. &me professes self-love & self-care. With strong imagery and stories, we intend to start a conversation and help break stereotype. Its clear that functional nutrition needs of men & women are different. Here was our opportunity to turn that into a powerful hydration brand that helps men unleash their potential to the fullest in a healthy way. 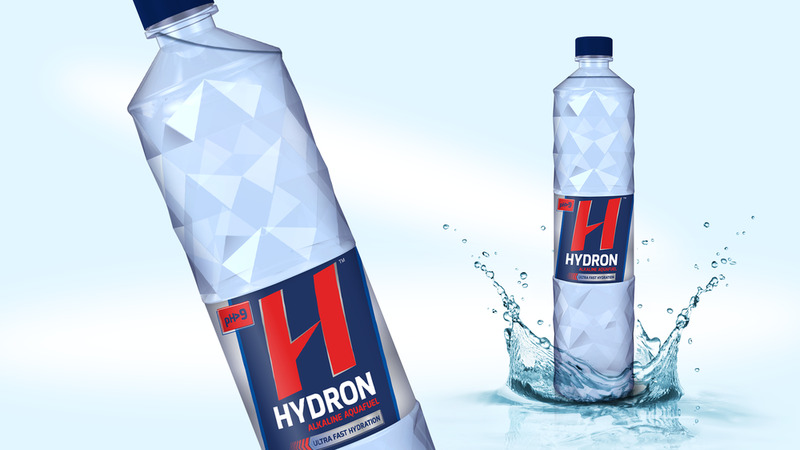 Hydron as we named it is not your regular thirst quenching water. It is hydrogen rich, anti-oxidant and and simply put, hydrates seven times faster. A highly functional beverage, Hydron alkaline water helps one recover from strenuous activity like workouts or sports very quickly. This is exactly what we brought to life on its packaging. Potency & science.